New Britain Mayor's Real Financial Dilemma. 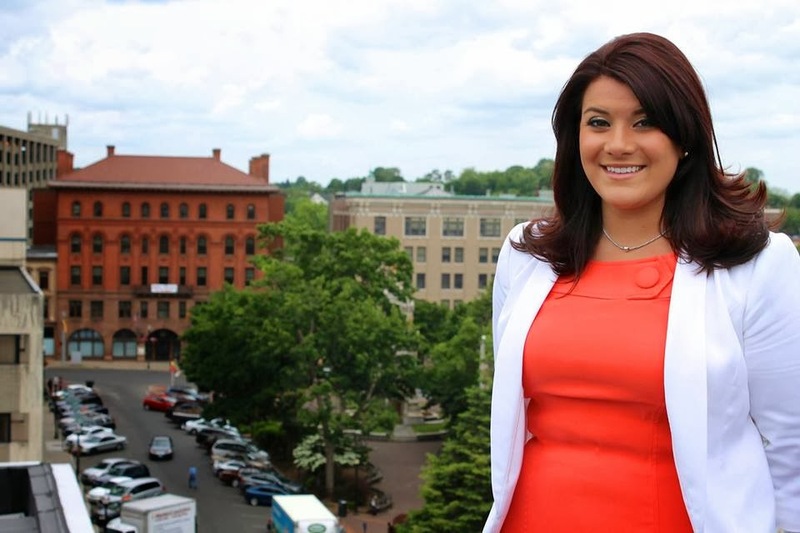 With Mayor Erin taken over the city’s mayor leadership role she found that her predecessor had wasted an excess of ten million dollars during his tenor and immediately buckle down to find ways to resolve the problem she is faced with. Her predecessor had managed to execute raises with many city employees and has been known to not having the word “no” in his vocabulary. Erin immediately renegotiated the raises with those employees saving an annual cost of two million dollars per year for the taxpayers. With her seeking 80% more in reductions she has immediately requested all the management heads of city departments for budget reductions. She also recognized that the needed HUD funding to the city for its various projects has been neglected, by the prior administration, so she has enlisted Mr. Ken Malinowski who is well versed with all the HUD grants that should have been provided to our city and asked him to work with HUD officials in an attempt to get some of those needed funds back to the city. Our newly appointed finance committee, which is chaired by former Alderperson Mary Morocco, has an assume task in preventing a twenty mill increase for the city taxpayers. And hopefully mayor Stewart will not have to resort to a midyear tax assessment like occurred years ago. deport Justin and White House is MUM . 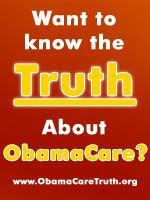 Obama care will cost the American Taxpayers 1.6 Trillion dollars with many pushing to put an end to this disaster. Obama’s desires of getting the American youngsters to sign into the plan is not working at all therefore, this plan should come to an end without any delay. Is Ted Kennedy Jr. Looking At General Assembly? 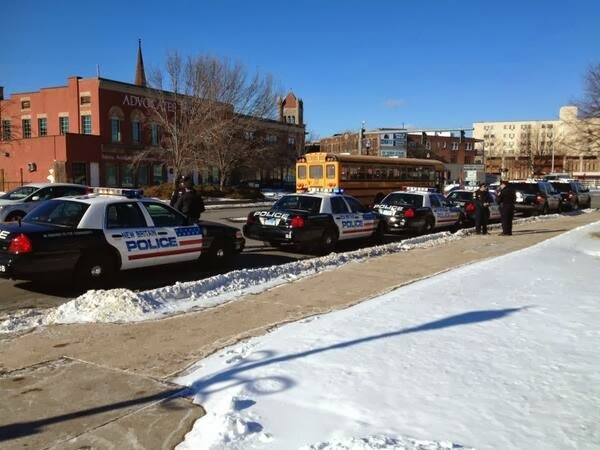 “After a three-day manhunt led by the New Britain Police Department, with the full support of local and state law enforcement agencies, the people of the City of New Britain can sleep a bit easier tonight knowing that Jaheem Snype has been apprehended. I cannot speak highly enough about the work of Chief James Wardwell and his entire department, and I offer the City’s sincere thanks and appreciation for the assistance provided by the Hartford Police Department and the Vermont State Police in this capture. It is my hope that the coordinated, interstate response and tireless pursuit of this suspect will send a clear message that those who do violence against our law enforcement personnel will be brought to swift and harsh justice. "Officer Brett Morgan is continuing to recover from his injuries, but remains in Intensive Care at an area Trauma Hospital at this time. The New Britain Police Department and New Britain Police Union has set up a fund to benefit Officer Morgan and his family to deal with expenses that have and will arise out of these criminal acts". The fund is the Brett Morgan Benefit Fund hosted at TD Bank. Any person, who wishes to donate to this fund, can go to any TD Bank branch and ask to make a contribution to the Brett Morgan Benefit Fund c/o Robert Martin New Britain Police Department. police begin arriving @ court for arraignment of Jaheem Snype. Over the weekend, NY Governor Andrew Cuomo told Conservatives that they are to either embrace his form of communism or they can get out of his state. As Cuomo put it, there is no place in his New York for these conservatives. Now that conservatives are being told to either capitulate into adopting their dictator's beliefs or leave, it makes you wonder how long it will take for Connecticut's communist-in-chief to begin evicting anyone who doesn't share his vision for a communist utopian hell hole here in Connecticut. WORLD EXCLUSIVE: OBAMA DIVORCE BOMBSHELL! Nh House votes on decriminalizing Marijuana. Concord NH voted to whether to legalize up to one once of marijuana for recreational use for anyone 21 years or older. 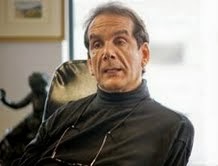 In his recent written masterpiece “Things That Matter”, syndicated columnist, Charles Krauthammer wrote. [ “Know Thyself” is a highly overrated piece of wisdom. As for knowing the self of others, forget it. Know what they do and judge them by their works ] Excellent advice! I offer some comments to two letter writers that contributed recently in a local news paper. First. If you are a Democrat Party member of a governing body on which there are two Republicans and thirteen Democrats, you can cherry pick issues on which you can vote, seemingly, against Party, look like a hero and not be chastised by your Party. Dave DeFronzo of the New Britain Common Council does this with aplomb. In a letter to a local Weekly paper, he cites many examples of presumably being his own man when he votes on critical City issues going against Party Leadership. 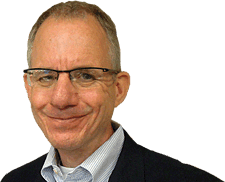 Dave is rankled by the recent decision of the New Britain/Berlin Chamber of Commerce Board of Directors to name Timothy T. Stewart as its President. Dave cites the fact that the City of New Britain allocates $23,000 to the CoC Annually and since Mr. Stewart is the father of our Mayor. that relationship could affect her ability to make budgetary decisions that might affect her father. WHAT ? Perhaps that kind of behavior might be true of you Dave but please, don.’t paint everyone with a brush that depicts you. For you Dave, this is just a personal vendetta. Dave, you are full of puerile protestations such as this, they are part of your personality. On the other hand, you had nothing to say when Mayor Pro Tem Mike Trueworthy and Majority Leader Suzanne Bielinski engineered the hiring of Bielinski’s niece (by marriage) to be Council Secretary, raise her salary to over $60,000, and place her in a Union where she clearly does not belong. Oh, and you get away with that Dave because you can say, I have/had nothing to do with that. Well Dave, you have nothing to do with naming the President of the CoC but you certainly didn’t shy away from projecting your own brand of innuendo into a non partisan procedure of a non partisan organization. Take Krauthammer’s advice, Dave! And while you’re at it, look in the mirror ... what do you see? PLEASE NOTE THAT McNamara THE LESSER TALKS ABOUT CRONYISM by the GOP members. BUT, SAYS ABSOLUTELY NOTHING ABOUT THE NEPOTISM PRACTICES OF DAVE DEFRONZO OK-ING FOR A JOB FOR HIS FATHER IN LAW, LARRY HERMANOWSKI AND THAT OF MAJORITY LEADER BIELINSKI AND MAYOR PRO TEM MIKE TRUEWORTHY ENGINEERING A JOB FOR BIELINSKI'S NIECE AS COUNCIL SECRETARY, GIVING HERE A HEFTY RAISE AND PLANTING HER IN LOCAL 818 - WHERE SHE CLEARLY DOESN'T BELONG. 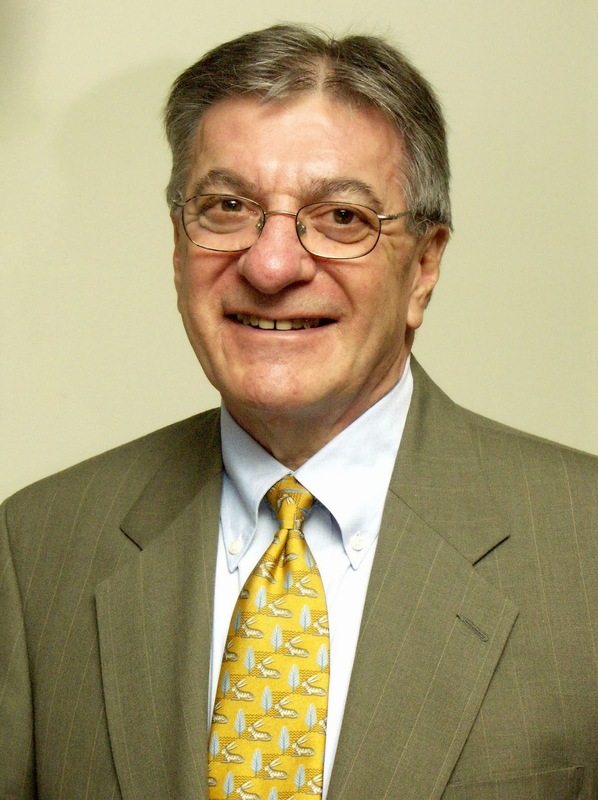 Former Alderman Louis Salvio wins the recount of ward five by four votes. Alderman Roy Centeno pick three votes by voters who did not circle their ballots but wrote his name instead according to Mr. Frank Morocco who conducted the recount. At LAST NIGHT'S COUNCIL MEETING ALDERMAN CARLOZZI MADE SUCH A EXTREME GOODBYE TO ALDERMAN CENTENO MAKING ONE WONDERING WHY THE SEVEN VOTES HE LOST WERE FROM THE DISSATISFIED TAXPAPYERS WHO RECOGNIZED THAT HE HAS BEEN A TAX DELIQUENT MANY TIMES IN THE PAST BUT, NOW IN A POSITION AS AN ALDERMAN, FORCING THE SAME TAXPAYERS AND VOTERS TO PAY THEIRS. Robert Gates’ Damning Accusations: Should Anyone Be Surprised That ‘Low as You Can Go’ Obama Puts Politics Before Our Troops? Unofficial results of the special ward five are Alderman Carlozzi and Former Alderman Louis Salvio beating Roy Centeno by seven votes. It is therefore, imperative, to render Mayor Erin your full support by voting for her two Republican candidates. In order to allow her to manage the city affairs without being obstructed by the Democrats who have destroyed our city's image with raised taxes during the O'Brien's mayoral leadership. Column: Was Kim’s uncle eaten alive by dogs? WASHINGTON — The Obama administration says a Supreme Court justice should stop blocking the new health care law’s requirement that some religion-affiliated organizations provide health insurance that includes birth control. The government says religious nonprofit groups can certify that they don’t want to provide contraceptive coverage. A group of Catholic nuns who run nursing homes sued, saying even signing that form violates their beliefs. Government lawyers say the nuns’ insurance is a “church plan” that is not required to provide contraception coverage and has decided not to, so they have no legal basis to complain. expert should know what he's talking about.. And we said okay..
Michelle Obama's Princeton classmate is executive at company that built Obamacare website. First Lady Michelle Obama's Princeton classmate is a top executive at the company that earned the no-bid contract to build the failed Obamacare website. Toni Townes-Whitley, Princeton class of '85, is senior vice president at CGI Federal, which earned the no-bid contract to build the $678 million Obamacare enrollment website at Healthcare.gov. CGI Federal is the U.S. arm of a Canadian company. Toni Townes, '85, is a onetime policy analyst with the General Accounting Office and previously served in the Peace Corps in Gabon, West Africa. Her decision to return to work, as an African-American woman, after six years of raising kids was applauded by a Princeton alumni publication in 1998. George Schindler, the president for U.S. and Canada of the Canadian-based CGI Group, CGI Federal's parent company, became an Obama 2012 campaign donor after his company gained the Obamacare website contract. On the government end, construction of the disastrous Healthcare.gov website was overseen by the Centers for Medicare and Medicaid Services (CMS), a division of longtime failed website-builder Kathleen Sebelius' Department of Health and Human Services. CGI Federal did not immediately return a request for comment. 4.) Overruns for Obamacare enrollment website now costing U.S. $678 million, and still going up. Does this bother anybody else besides me? And this is just one of their corrupt enterprises. The Obamas are worse than "Bernie" Madoff and far more dangerous to the country. These thieves and traitors should be in jail for the rest of their lives.